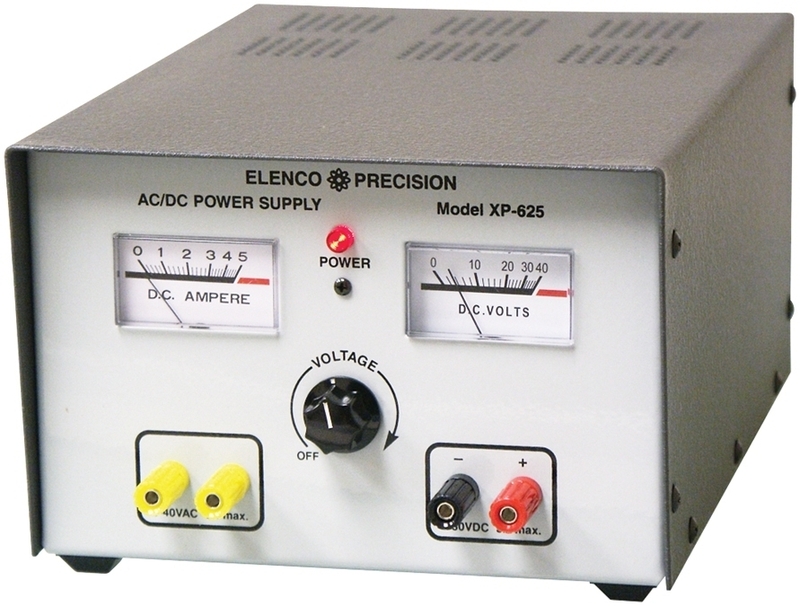 The XP-625 is an ideal power supply for your school lab. .
) of 0-40V at up to 5 amps. The voltage adjust knob controls all three outputs while the volt and amp meters display the desired setting. Output voltage 0-30VDC; 5A max. Output voltage 0-40VAC; 5A max. 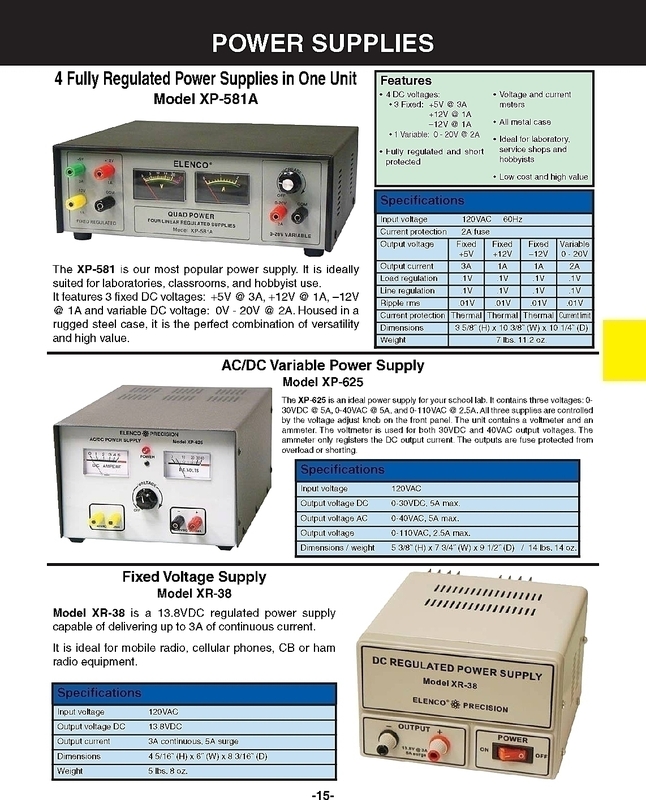 This product is intended for applications where high voltage variance and fluctuations can be tolerated. The voltages produced by this power supply are not filtered or regulated resulting in damage to sensitive devices. The meter displays the average volta-ge- peak voltages are higher (60V#8200;for DC, +/- 60V#8200;for AC). Please refer to the schematic for output waveforms.